Far and few between are the Master Kong varieties I find locally. This is one of them I got a couple months ago – a real surprise. I don’t know why so many of them aren’t available in the United States; I’m guessing possibly that many of their products contain chicken or beef, and import of chicken or beef into the United States from Asia is very hard if not impossible. 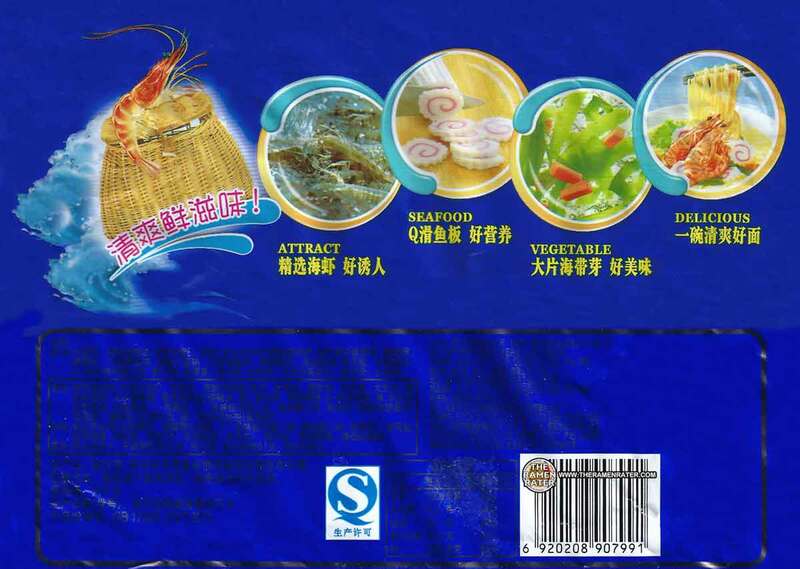 Luckily, fish products are generally accepted for import quite easily and here we are. 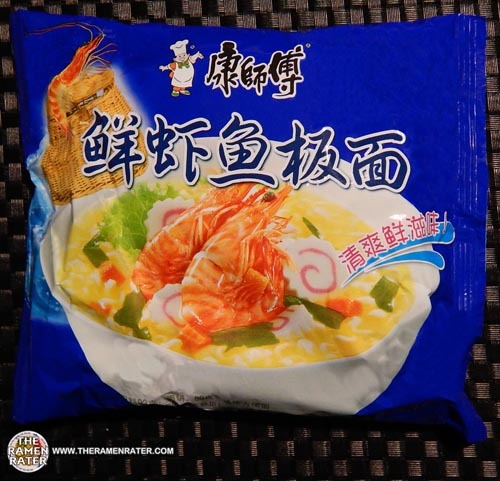 Let’s check out this Master Kong Seafood instant noodle! Here’s the import/distributor’s sticker (click image to enlarge). 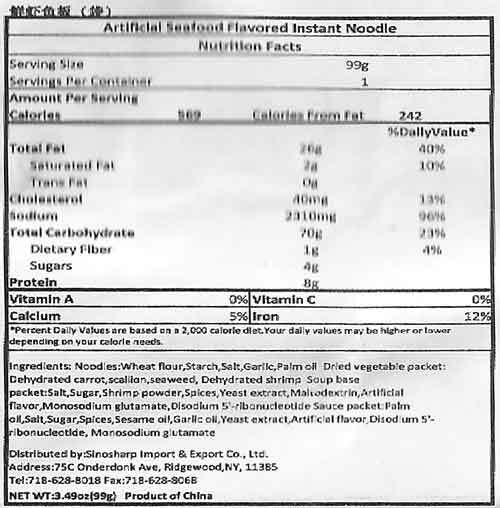 What’s interesting is that it’s being called artificial, it does contain shrimp. Here’s the back of the package (click image to enlarge). While these products don’t have instructions on how to cook them, I generally do the same thing with all of them. 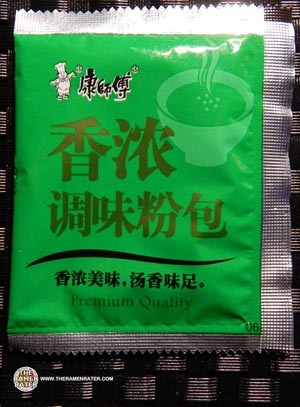 Add noodle block and sachet contents to 500ml boiling water. 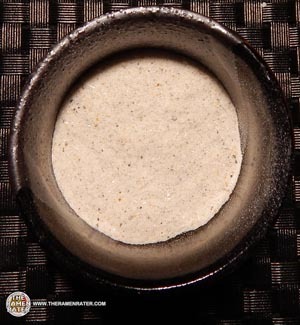 Cook for 3 minutes and enjoy! Has a strong seafood scent. 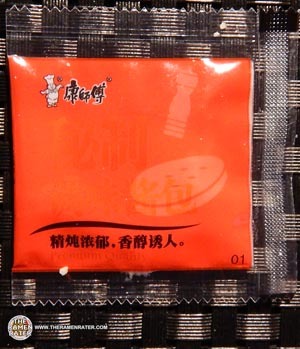 A sachet of dried vegetables. Looks like cabbage, spring onion, seaweed perhaps? Carrot? Finished (click image to enlarge). 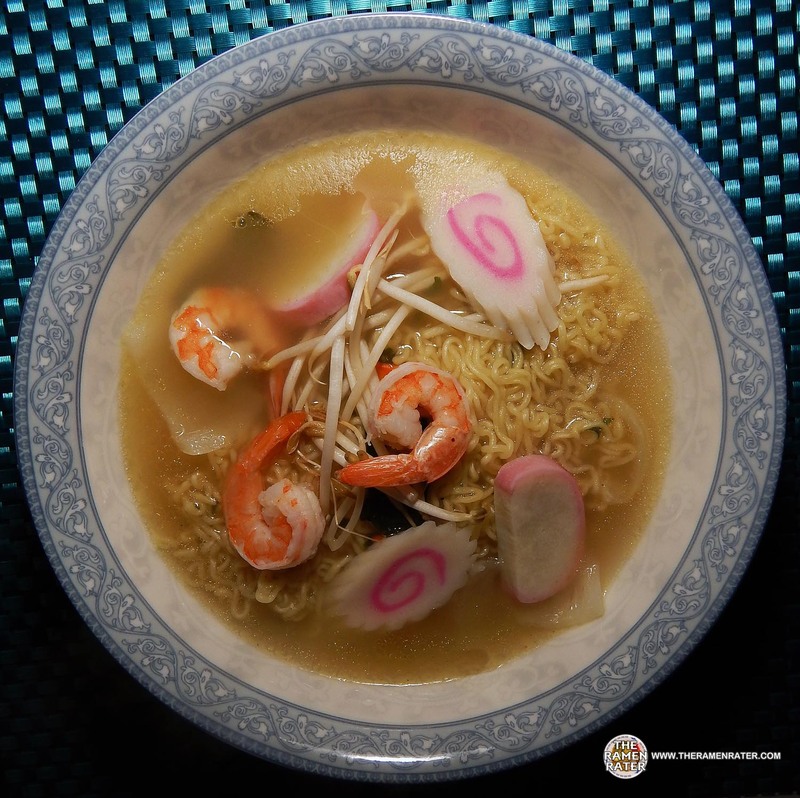 Added narutomaki, kamaboko, prawns, sweet onion and mung bean sprouts. 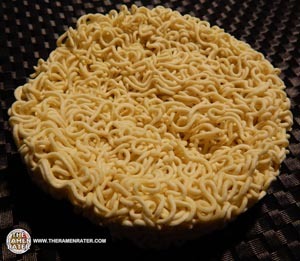 The noodles have a familiar gauge and chew – not very thick and not very chewy, but all the same decent. The broth has a nice seafood flavor leaning mostly towards the prawn end of the stick. 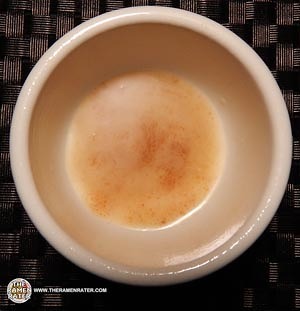 The broth has a decent richness and slight oiliness which is just right. 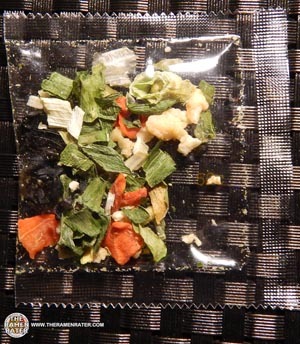 The dehydrated vegetables were alright. 3.75 out of 5.0 stars. EAN bar code 6920208907991. The packaging here looks a little different so I’m not sure it’s exactly the same, but I’m sure it’s quite similar. You can get it here! A very upbeat commercial for Master Kong Seafood flavor instant noodles. 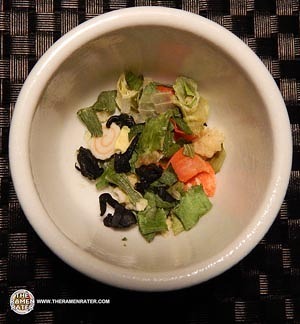 This entry was posted in * Stars 3.1 - 4.0, China, Master Kong / Kangshifu, Seafood and tagged 1572, 6 920208 907991, 6920208907991, 920208907991, china, chinese, kang, kang shi fu, kangshifu, kong, master, seafood, shrimp, 康师傅, 鲜虾鱼极方便面 on January 27, 2015 by Hans "The Ramen Rater" Lienesch.